Global Coils Pty Ltd is an Australian manufacturer of high and low voltage AC and DC coils for all types of electric motor applications. These include power generation, mining, rail and heavy industry. 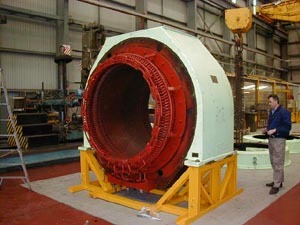 Our customers are electric motor repairers and original equipment manufacturers offering services to those industries. At Global Coils our aim is to work closely with customers to provide speedy, cost effective and long term solutions to rotating equipment reliability. From low to high voltage, small to large, whether it is one or one thousand coils, we have the capability to manufacture any type or quantity of rotating machine coil. We believe our coils are second to none - from materials, design, construction to insertion, our coils will provide long term durability and cost effectiveness. When you consider the cost of machine failure and plant downtime. Can you, or your customer afford not to use Global Coils?